Ladies, meet Beatrix. Florals inspired by the Japanese lotus flower bloom across luxurious 100% silk chiffon, with our Boden-exclusive Wild Bloom print layered over the top in a graduated design. A hanky hem gives this piece an effortless, ethereal vibe, while the high neckline and three-quarter-length sleeves ensure a modern finish. Poly georgette lining creates a lightweight feel that won’t cling. It doesn’t take much to style this dress; simply add our Icons Aleta Tie Back Heels. Soaked in heritage and with over 130 years of experience on their side, Cheaney & Sons specialise in crafting last-a-lifetime shoes from the finest materials. 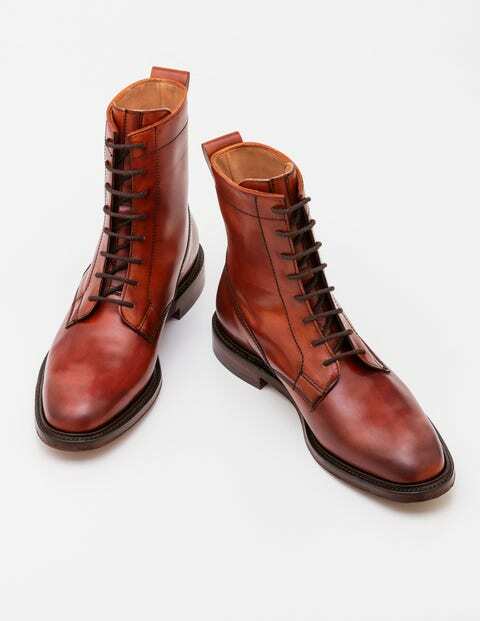 This boot is no exception – with hand-burnished walnut-grain leather and a Goodyear welted rubber sole. In a classic Chukka shape, derived from the early polo-playing days, they’re defined by an ankle-high silhouette and fuss-free lacing. 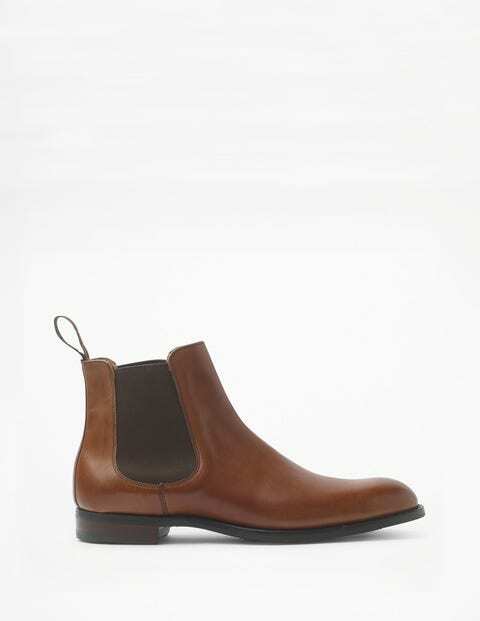 Expertly handcrafted in Cheaney & Sons’ historic Northamptonshire workshop, these classic Chelsea boots are a prime example of exquisite British workmanship. 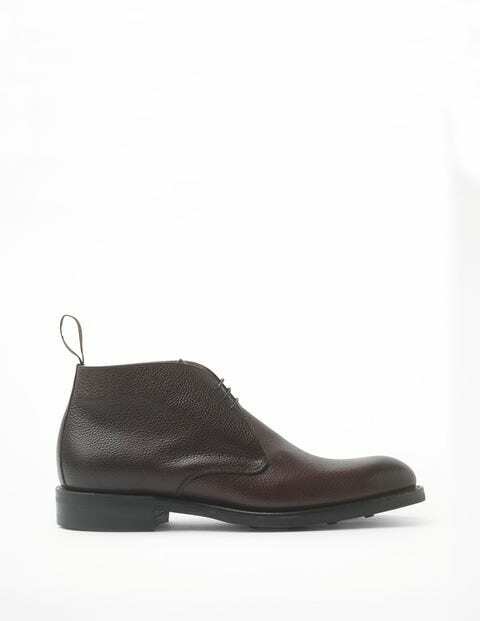 Finished with smooth, hand-burnished leather, they’ve got a comfortable rubber sole and were made to last a lifetime. The webbing tab at the back and elasticated sides ensure they slip on and off with ease. 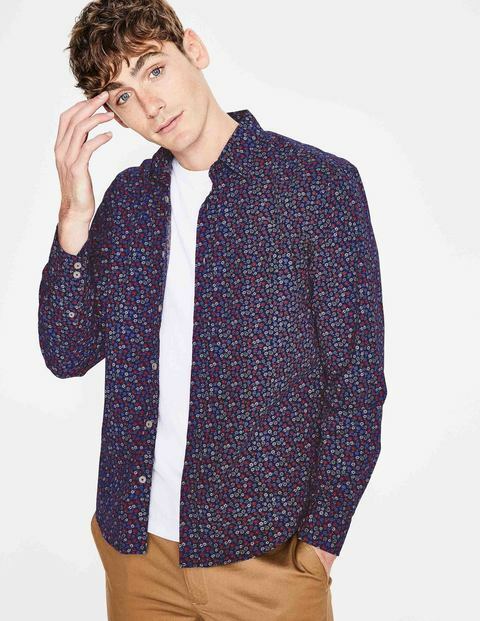 This floral shirt may be full of personality, but the neutral colours give it a (not-too) serious side, making it perfect for both work and play. Crafted from soft cotton poplin in a regular fit, it’ll keep you cool and comfortable from morning meetings through to after-work drinks. Greet cocktail hour in opulent green crêpe de chine and a shape-enhancing cut. Cornelia’s exaggerated bell sleeves and low-cut, wrap-over V-neckline create a standout look for long, balmy evenings. The wide, striped silk belt will flatter your waist; while its colourful tassels add vibrancy. Pair this limited edition dress with those statement earrings you found on last year’s travels and add some killer heels for a bit of sass.